As a city that was built and thrived because of its location as a crossroads between wilderness and city, farm and market, the realities of infrastructure both natural and man-made are at the heart of Fort Wayne’s history. We consider waterways as an integral part of open spaces of the City, forming a series of infrastructural systems that affect the dynamics and spatial characteristics of the region’s natural landscape systems. 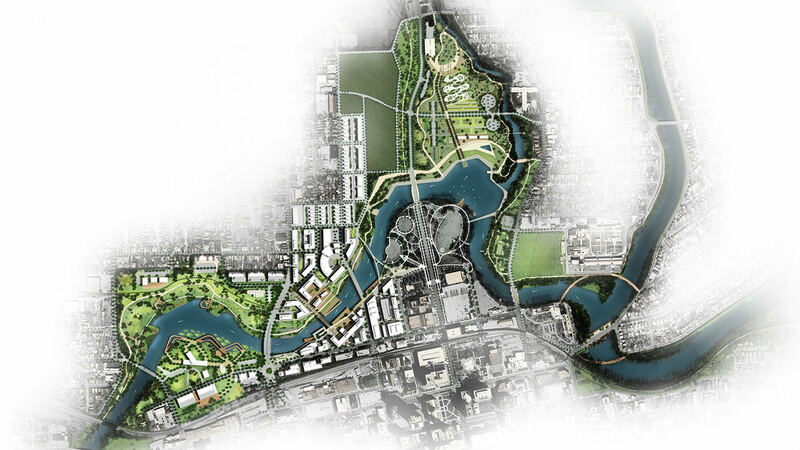 Framing the project in this way allows Fort Wayne’s river system to be affected by the City, and the fabric of the City to learn from the rivers. 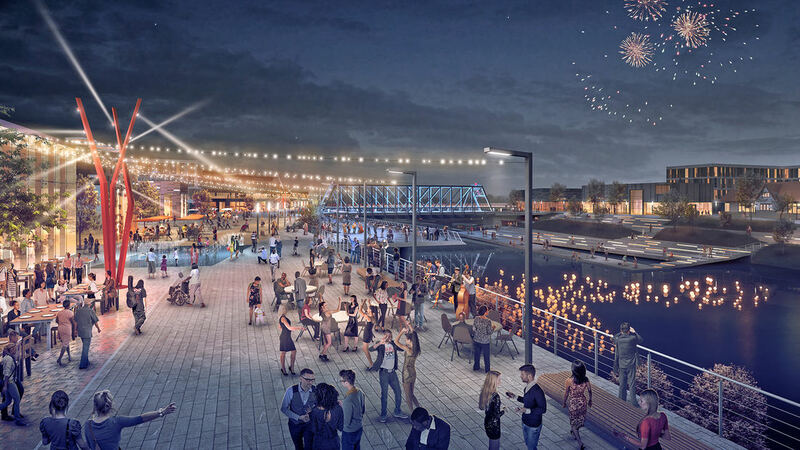 We see this project as a catalyst that will change the urban character of Downtown Fort Wayne by embracing the rivers as an integral part of the urban landscape. 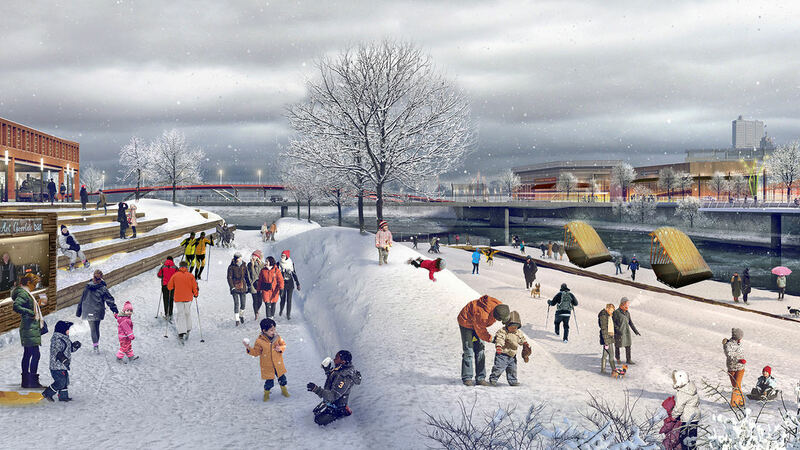 A melding of art, landscape, engineering and urban design will create layers of interest, and a rich interplay between natural systems and urban spaces. 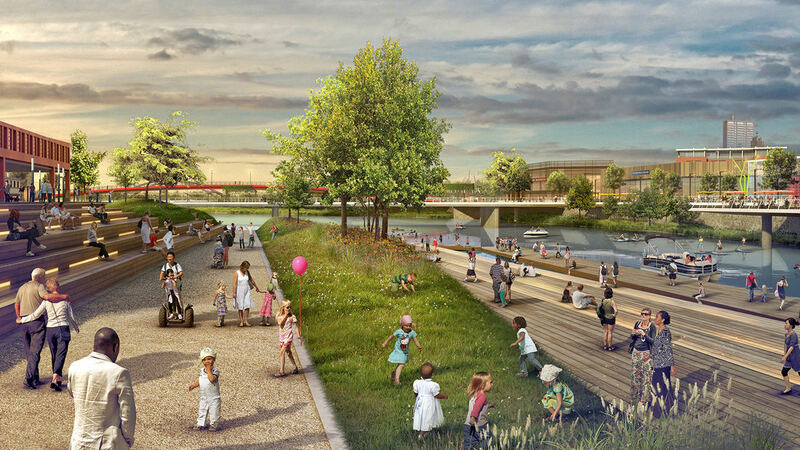 At the core of the project is the simple notion that the health of our rivers reflects the health of our society, and that reconnecting Fort Wayne to the river will reawaken an appreciation for the City’s history and ecology. 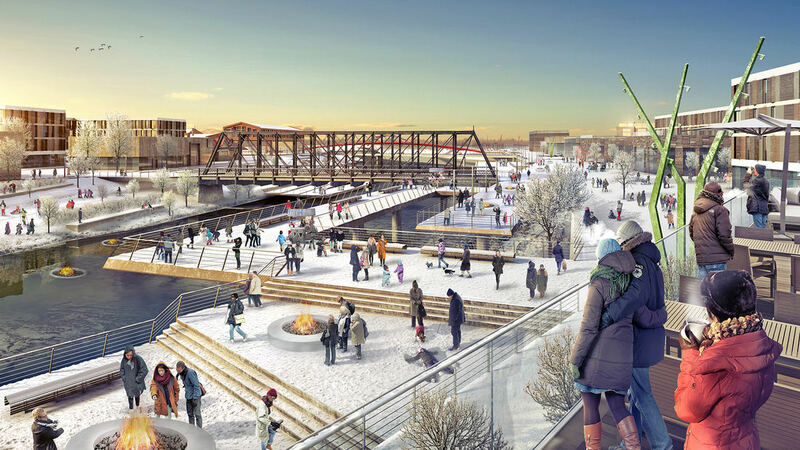 The planning of Fort Wayne’s urban core begins with understanding the river as a necessary and important infrastructural system that has defined the City since its birth in 1832. The rivers of Fort Wayne have moved men and materials, have provided irrigation, and have created a scenic setting for the town. But while the rivers helped to build the town, from time to time they also helped to destroy it with flood waters. Our work and research with the destructive forces of rivers and strong storm occurrences will guide our technical remediation aspect of the project, along with the engineers on our team. 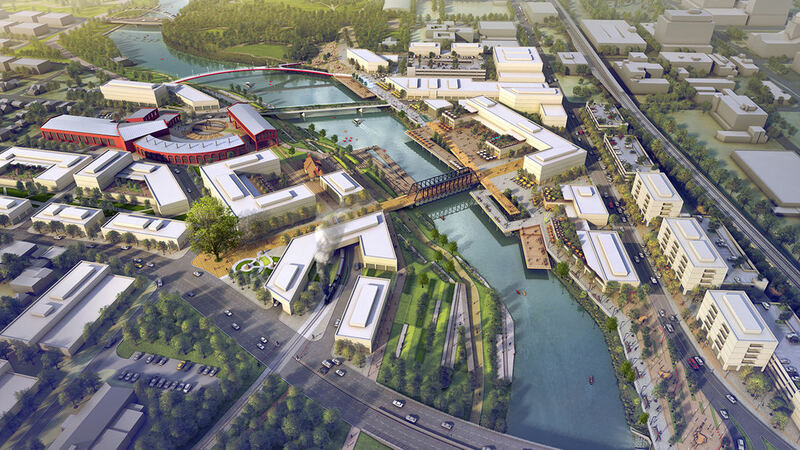 While Fort Wayne has taken considerable steps to create a robust urban core, the pressures of suburbanization must be addressed to maintain a downtown that is fully functioning and attractive to business, residents and visitors. We envision a public realm design that will provide civic beauty, timelessness, and recreational opportunities along with the implementation of modern infrastructures that attract private realm projects that are inspired, robust and “of the place.” The end result will see public and private investment that is culturally and ecologically relevant – a balancing act that only the world’s most sophisticated cities achieve. 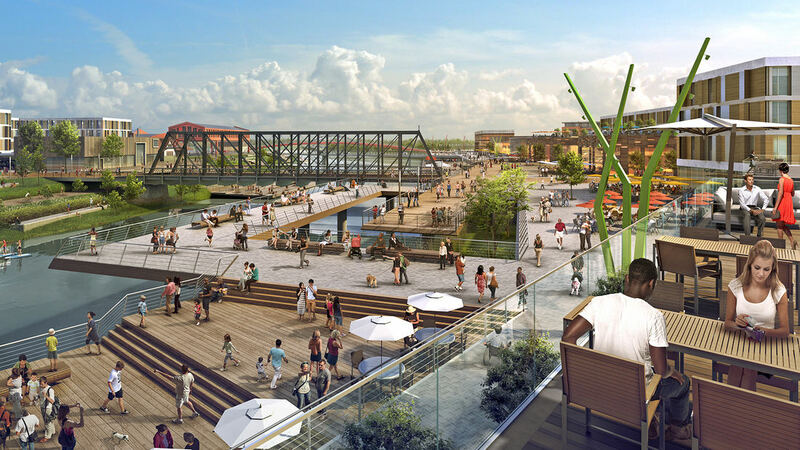 We understand that the project will incorporate the core values of urban design, sustainability, cultural and environmental preservation, and socioeconomic promotion.